“The only things certain in life are death and taxes”, so famously said Benjamin Franklin and it is as true today as it was almost three hundred years ago. So what is Inheritance Tax? Inheritance tax is a tax levied on the value of a person’s assets when they die. Under current legislation, everyone permanently resident in the United Kingdom has a personal inheritance tax allowance – known as the Nil Rate Band (NRB) of £325,000. For married couples or civil partners, this can be in certain circumstances combined or rolled over to give a joint allowance of £650,000. Over and above either the single or double allowance, inheritance tax is levied at a flat rate of 40% on all assets worldwide. 1. Spouse Exemption – There is no tax payable on gifts passing on death between married couples or civil partners, irrelevant of the value. 2. Business Property Relief (BPR) – Depending on certain factors, there is no inheritance tax payable on most businesses acting as a trading company. 3. Agricultural Property Relief (APR)– Again, depending on certain factors, there is no tax payable on farmland and associated property on death. 4. Charities – No tax is payable on gifts to registered charities, irrelevant of the value. If however you leave a minimum of 20% of your estate to charity, your remaining estate will now be taxed at a lower rate of 36%. 5. Heritage Relief – In certain circumstances, HM Revenue & Customs will accept items of historic or architectural importance to the nation in lieu of tax. The payment of inheritance tax remains an emotive issue but one which remains with us and is likely to do so for some time. So the question is, how to avoid your family paying a substantial proportion of your estate in tax. The following questions and answers will hopefully answer some of your own questions. Q: I own a property investment company – will this qualify for BPR? A: No. It is only trading companies who will qualify for BPR. Q: I own my company jointly with my business partner – how can I make sure he is able to continue to run the business after my death without my family losing out financially? A: A share option agreement is the answer whereby your partner is given first option to purchase your share of the business within a set amount of time. To enable him to be able to have the necessary cash and so as not to disadvantage your family, you would be advised to take out life insurance on each others’ life to be reviewed say every 3-5 years. Q: I own a farm. Will all of the farm qualify for APR including the farmhouse? A: Agricultural land will qualify for 100% APR (no inheritance tax will be payable on death) but it does not follow that paddocks and other buildings including the farmhouse will. The farmhouse must be the centre of operation for the farm and be “character appropriate” to the size of the farm. In other words, an eight bedroom listed Georgian house would not be character appropriate to a farm of say 100 acres whereas a three bedroom much smaller house would be. Q: Can I simply make gifts to my family and friends before I die to avoid tax? A: Yes you can and the use of trusts and gifts in your lifetime can reduce your inheritance tax. However, there are complex rules surrounding the use of gifts and trusts. For example, any gift that you make is likely to be called back into your estate for the payment of inheritance tax if you die within seven years of making the gift. Q: I own a holiday home in Portugal and Portugal doesn’t levy inheritance tax. So do I still have to pay in the UK? A: Yes. ALL assets worldwide are subject to inheritance tax. Q: Do I have to pay tax twice on my holiday home? A: No. The UK has reciprocal tax arrangements with most countries in the world to make sure that this doesn’t happen. Q: I have a simple Will that was made many years ago, before I started my business. Does this need to be reviewed? A: Yes, first and foremost, a properly crafted Will is imperative. Depending on the size and value of your estate, together with your personal circumstances, it is likely that a Will Trust such as an Immediate Post-Death Interest Trust (IPDI) is prepared and can, if properly managed, save substantial inheritance tax prior to second death as well as being able to deal with the complexities of modern life, i.e., second marriages. We hope the above helps to answer some of your queries but appreciate that it is such a wide and complex subject and any advice given needs to be bespoke to the individual. If you do have any questions in regard to the above or would like more personal and bespoke advice, then please do contact us for an appointment. Remember we are happy to see you in your own office or at home if it is more convenient for you. I’m Adrian Chambers and specialise in Probate and Estate matters in Oundle. We aim to provide our clients with an outstanding legal service. We will help and support you and most importantly we work hard for you. For information about our costs on probate work please click here. Please contact us for a free, no obligation chat on 01536 276300 or contact us online. Latest articles on Inheritance Tax, Probate and Estates. Wills can and often are challenged by dependents who think they should have received more from an estate than they get and in this case bought before a court, a daughter thought she should have a larger share of her aristocrat father’s £1.3 million estate. Estate planning is essential when there is a family business to prevent tax problems in the untimely death of a shareholder as this following High Court case demonstrates. Estate Administration – DIY Or Use Solicitors? Is A Grant Of Probate Necessary? Need Help Administering a Loved One’s Estate? Only Need A Grant Of Probate? When to Use a Solicitor to Administer Your Estate? Who Has The Right To Apply For Probate? 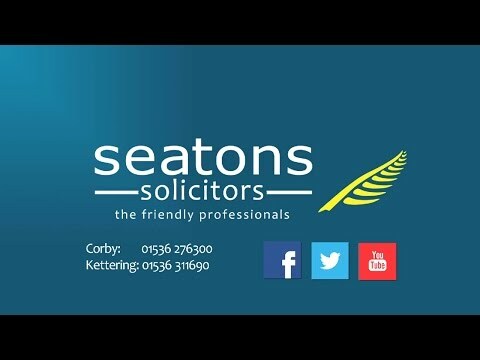 Why Use Seatons To Administer Your Estate?